MCS-740 is an outdoor siren completely wireless, self-powered, meets standard (IP55) for outdoor use and is notable for being completely wireless and very easy to install. Two-way communication and monitored by the panel. Two different antennas ensure effective communication, reliable and the best wireless performance. 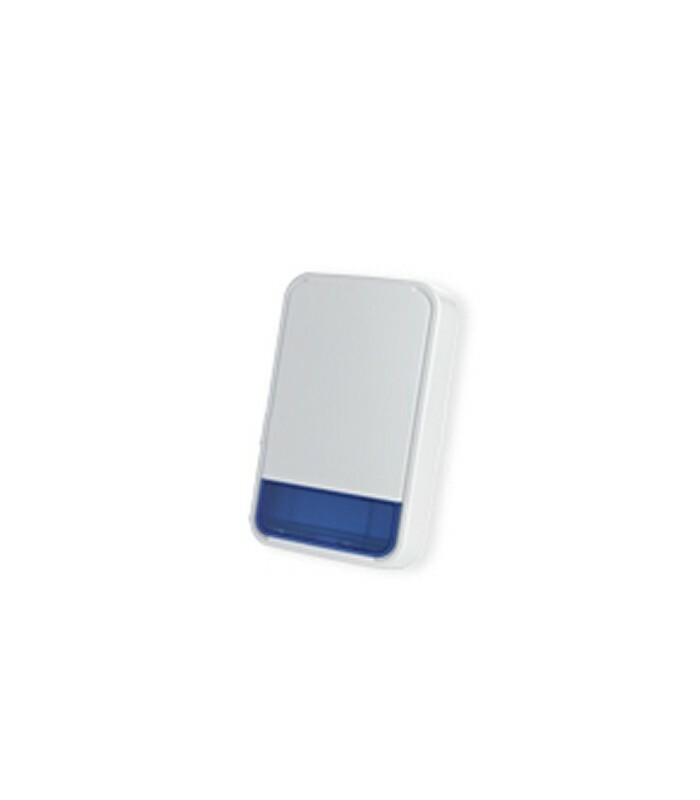 Sound different for burglar alarms and emergency alarms and low battery indication communicated to the panel. It is activated by alarm reported by the panel and by communication disorders between the panel and the siren. Provides auditory and visual notifications to arm and disarm the system. In the event of an alarm, the sound of the siren is extremely high, ensuring that the alarm is noticed. Its sleek design ensures that the MCS-740 siren is clearly visible from almost every angle.